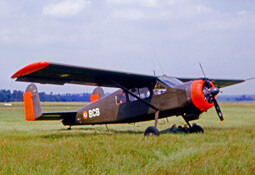 The SO-90 Corse was designed during WW2 as a nine passenger liason aircraft and first flew in 1943 using Bearn engines. 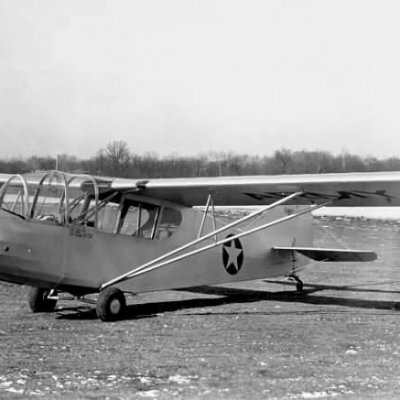 Only three of this initial version were built. 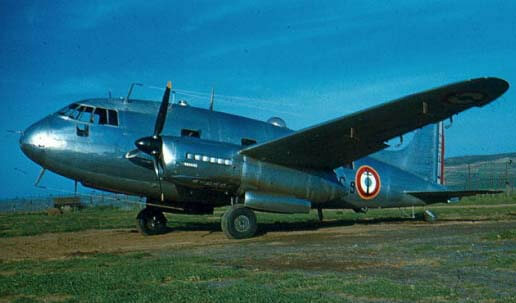 The aircraft was developed as the larger SO-93, 94 and 95 versions using Renault engines. Its performance was disappointing however and only 60 were built in total, mostly for military use. 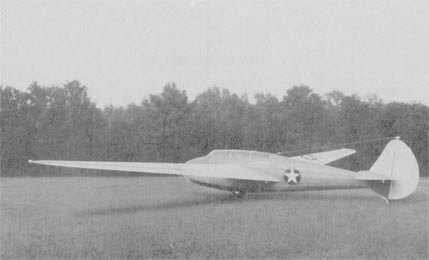 This title contains several volumes of the technical manual suite for the S0-90, including the Flight Operating Volume, plus a manufacturers brochure for the later SO-93. The files have been scanned from the original flight manuals and retain any colour pages. SNCASO Notice Technique de L’Avion SO-90, Moteurs ‘Bearn” G.D.07 – Tome I Fascicule 2 – Description, dated 15 January 1948 with approx 94 pages. SNCASO Notice Technique de L’Avion SO-90, Moteurs ‘Bearn” G.D.07 – Tome I Fascicule 3 – Chargement, (Weight & Balance ) dated 15 January 1948 with approx 14 pages. SNCASO Notice Technique de L’Avion SO-90, Moteurs ‘Bearn” G.D.07 – Tome I Fascicule 5 – Materiel d’equipe -ment, (Equipment List ) dated 15 January 1948 with approx 17 pages. 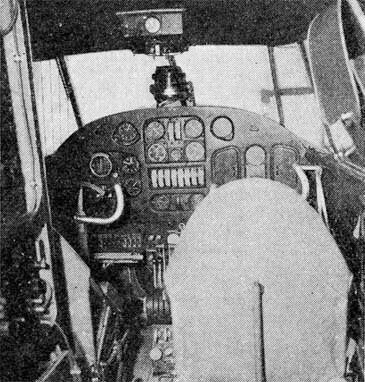 SNCASO Notice Technique de L’Avion SO-90, Moteurs ‘Bearn” G.D.07 – Tome II Fascicule 7 – Utilisation en Vol, (Flight Manual) dated 15 January 1948 with approx 14 pages. 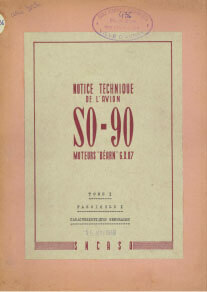 SNCASO Notice Technique de L’Avion SO-90, Moteurs ‘Bearn” G.D.07 – Tome III Fascicule 9 – Entretien et Service au Sol (Maintenance Manual), dated 15 January 1948 with approx 33 pages. SNCASO Notice Technique de L’Avion SO-90, Moteurs ‘Bearn” G.D.07 – Tome III Fascicule 10 – Demontage et Remontage (Disassembly & Reassembly), dated 15 January 1948 with approx 17 pages. Manufacturer’s brochure for the SNCASO SO-93, dated 1946 with approx 12 pages.